Some people come to Tucson to visit and wind up staying a lot longer than they thought they would. In many ways Tucson is like a permanent vacation, but without the long lines and the mobs of tourists. If you’re looking for a place to live a happier life, Tucson likely has everything you could possibly need. You’ll find plenty of Tucson rental properties to fit any style and budget. It’s just as great for families as it is for independent adventurers. The blend of relaxation and exploration is blissful. 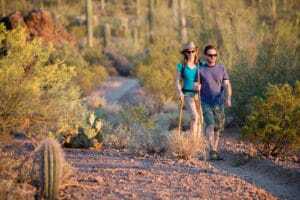 Tucson’s warm and dry weather is ideal for year-round outdoor festivities, and when you get a sense of Tucson’s vast nature, you’ll want to take advantage of that climate. The Tucson basin is surrounded by mountains, with Wasson Peak, the Santa Rita Mountains, the Rincon Mountains, and the Santa Catalina Mountains bordering the region on all sides. The area is full of desert hiking trails, including Sabino Canyon and Tanque Verde Falls. The waterfall makes a perfect location for a quick dip and an outdoor lunch. For a leisurely day in nature, there’s always the botanical gardens. There are also numerous horseback riding locations scattered around the region. Tucson is an excellent way to get a break from a fast-paced city life. It’s perfect for people who want to get out and explore more. Who needs to go to the gym when there are so many wonderful places to get exercise and take in the sights? If you’re seeking a leisurely way to enjoy nature, it just so happens that Tucson is the perfect place to go bird watching. The city of Tucson alone (and not the state of Arizona as a whole) has well over 300 recorded species of birds. Watching birds in Tucson is certainly a lot more fascinating than watching flocks of identical pigeons in a city park. In recent years, Tucson has become a food lover’s paradise. Tucson is notorious for its authentic Mexican cuisine, being located a mere hour’s drive from the Mexican border. What once started as the perfect place to get chiles rellenos or rajas con queso soon grew to be a full grown culinary epicenter. UNESCO (United Nations Educational, Scientific, and Cultural Organization) designates places as Creative Cities of Gastronomy. There are only two of these designated cities in the entire United States. One of which is San Antonio, Texas and the other is Tucson. When judged against the entire world, Tucson’s culinary offerings were impressive enough to receive such a coveted recognition. If that doesn’t make you hungry, nothing will. 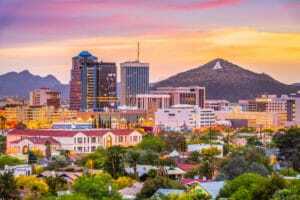 Tucson is full to the brim with eclectic bistros serving fresh seasonal dishes, hip New American eateries, artisanal pizza joints, and chic cafes. Tucson natives have a taste (literally) for the finer things in life, and new unique restaurants open their doors all the time. If you’ve ever wanted to present your own culinary offerings, Tucson is the perfect place to get into the restaurant business. There is so much more history to Tucson than what you’ll find in the city’s many museums. Tucson was founded by Spanish soldiers before Mexico’s independence from Spain. Tucson was once a part of Mexico, leaving an indelible mark on the city’s architecture and culture. In 1934, the infamous John Dillinger and his accompanying band of criminals were captured in Tucson. In remembrance and celebration of this capture, Tucson holds an annual “Dillinger Days” festival where participants re-enact this historical event. 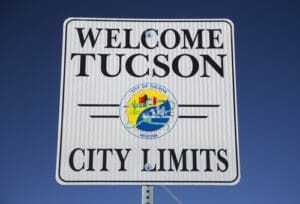 Tucson also played a prominent role in both World Wars, as well as the civil war. The Arizona Historical society has done a remarkable job in preserving and displaying crucial artifacts pertaining to Tucson’s contributions to the founding of modern day America, as well as its contributions to the world at large. Tucson has worn many important hats – even before its official inception. 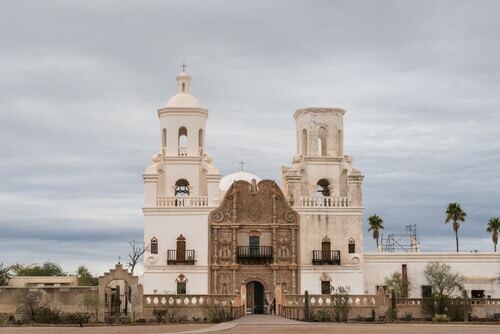 Many of Tucson’s original churches, chapels, and mansions have been left untouched. Barrio Historico, the old neighborhood, is what Tucson used to be before the area become modernized. You can stroll through the historic streets, taking in the heavily Spanish influenced colors and textures that comprise Tucson’s soul. History buffs will love Tucson. It’s not some small town where years have gone by without a peep. Tucson is rich, vibrant, and there’s always something to learn. If you want to live in a place with culture, you’ll undoubtedly adore the foundation upon which Tucson was built. How incredible would it be to live in the Sonoran wine region? Tucson is almost overflowing with wine. The area is an ideal environment for vineyards, and wine production is always bustling. Wine lovers can purchase local boutique wines directly from the wineries, enjoying them as soon as they’re ready. It’s also much less expensive than purchasing them in any other part of the country, so your wallet won’t feel ashamed of your decision to indulge. If you aren’t much of a wine drinker, you’ll find just as many breweries. Tucson loves its craft beer, and many varieties are inspired by the flavors of the desert. You’ll find beers brewed with cucumber and cactus, as well as more traditional blends. Many of the breweries also serve hip food, so you’ll have something yummy to soak up the beer as you continue to taste their offerings. Tucson loves performance art. There are large theaters that host traveling performances of major plays, as well as small community theaters where actors and enthusiasts can get together to share a memorable evening. There are also improv theaters for die hard comedy fans – watch the locals give it their best shot, or develop the bravery to take on the crowd. The Rialto Theatre, a large indoor non-profit venue, often hosts international acts. You’ll see live music as well as comedy shows, poetry readings, and themed events there. They host anything that requires a stage, so it doesn’t matter what your preferred kind of art may be. There are also several exceptional performing arts venues in Tucson for people who passionately love moving dramas. You don’t necessarily need to be a student in order to appreciate college sports. If you love to watch upcoming football talent, you’re going to enjoy the Arizona Wildcats. If you’re more of a basketball person, the University of Arizona’s basketball team made their way to the NCAA Tournament every consecutive year for over two decades. They’re formidable ballplayers. If the academic aspects of college appeal most to you, the University’s campus encompasses theater, dance, poetry, and various museums. You’ll learn a thing or two, even if you’re only a visitor. Tucson has a strong entrepreneurial spirit. The city makes it easy for anyone and everyone to live out their dreams by starting their very own business. Their policies are women and minority friendly, making the community one of the most accepting areas to anyone who wants to work hard and achieve success. Since corporate taxes and income taxes are low, small businesses are able to thrive in Tucson. By shopping in Tucson, you’re keeping that spirit alive. You’ll be able to try new products and services created by everyday innovators, rather than settling for the next best thing that a major chain can produce. 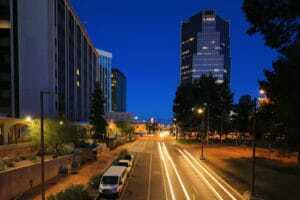 If you’ve been looking for a place to call home and set up your own shop front, Tucson is one of the best places to do it. While summers do get hot in the desert, it isn’t an uncomfortable heat. Tucson has relatively little humidity, which is what makes summers to difficult in tropical climates. Tucson sees a wealth of rain in the summer, and that rain keeps the plants healthy while the sun is hot. The landscape remains beautiful, even then the temperatures make a dry rise into the high 90’s and lower 100’s. It also happens that Tucson is relatively save from most natural disasters and destructive weather patterns. There is no hurricane season, and you’re never going to experience a blizzard. Tucson is rarely affected significantly by earthquakes, as no fault lines run directly through the city. The conditions aren’t right for tornados, and no matter how much it rains, it seldom floods. You’re going to save a fortune on insurance and home repairs by moving to Tucson if you currently experience extreme weather. Tucson hosts a lot of running events, including charity marathons. If you want to get yourself into shape while also helping others in the community, raise some money with your cardio. Tucson also happens to be rated as one of the best places in the world for bicycling. The city was designed with bicycles in mind, and virtually every street was build to accommodate bicyclists. Since Tucson is surrounded by mountains, rock climbers will have plenty of challenging peaks to keep them busy for years to come. You’ll never run out of mountains and new ways to climb them. Just get your gear together and head out. There’s always an adventure that ends in a mountaintop. If you’re more laid back in terms of athletic activities, Tucson is also very friendly to tennis players and golfers. The city boasts many courses and courts for people who enjoy a little bit of gamesmanship with their exercise. So many parts of the United States have exorbitantly high costs of living. It seems that the more developed an area is, the more expensive everything from the rent to a cup of coffee will be. While Tucson has the bold spirit of a big city, it’s laid back enough to mimic a small town. It’s not going to cost you a fortune to have a great dinner and a night out in Tucson. Tucson’s real estate market is very healthy. It’s relatively easy to find a great home at an affordable price if you’d rather be an owner than a renter. Tucson is one of few places in the country where a decent family sized home is easy to snag for under $200,000. With such an ideal market for buyers, it’s a wonder that anyone would want to rent an apartment. Tucson is such a tight-knit community. The people are friendly, accepting, and caring. One of the best places to observe their warm attitudes and make a few friends is at the farmers markets. There’s virtually always a farmers market open in Tucson. The warm weather and rainy summers are perfect for cultivating crops, and that’s exactly what the locals do. You can grow some of your own goods to sell, or you can come to buy the fruits and vegetables grown by your neighbors. You’ll be eating healthy and making connections. There’s nothing better than the blissful combination of great food and great friends. 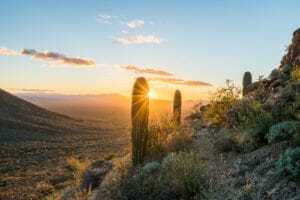 It’s almost impossible to condense the beauty of Tucson into a bite-sized portion for someone who hasn’t been lucky enough to have firsthand experience with the area. The locals love Tucson, and you will too. Stop in for a visit, and you’ll find yourself wanting to stay. Give Tucson a shot – it won’t let you down.